An absolute essential for any carpenter, woodworker and also any DIY homeowner, a cordless drill comes in handy for almost any project. Here’s what we’ve learned after extensive research and review: with cordless drills, you DO end up getting what you pay for. For most professionals including carpenters, handymen, fine woodworkers and others, you definitely need a drill that has enough power for the task at hand. Not to mention the durability to not quit halfway through a job. When shopping for cordless drills, remember to look for a balance between power, ergonomics and also quality. There’s a reason most professionals work with only a handful of brand name cordless drills and not the cheap no-name Chinese tools. In this post, we’re going to reveal our picks for the best cordless drills and explain why we picked them and what you should look out for. I’m going to start off by saying this: Lifetime Warranty. If you want a solid drill by a manufacturer that truly backs the products they sell, then Hitachi is the way to go. 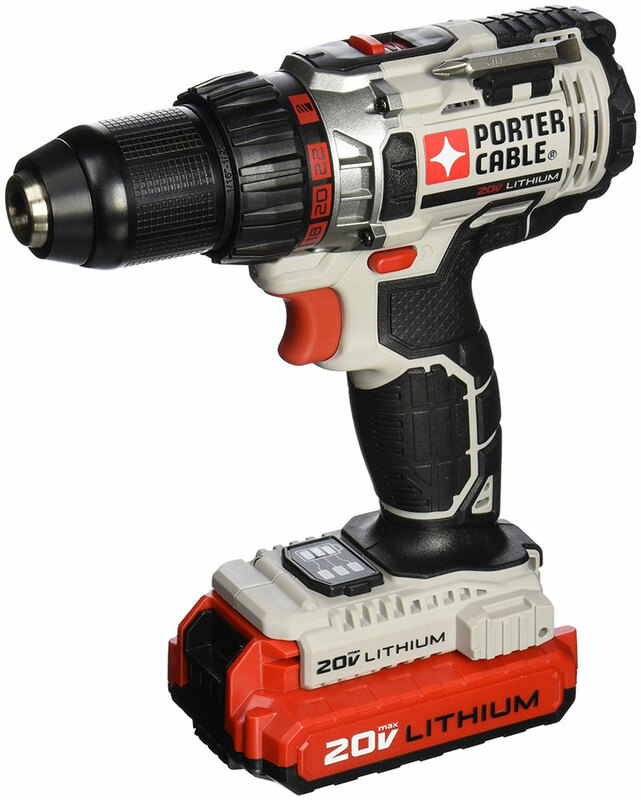 This cordless drill delivers 400 inch pounds of torque, so you don’t need to worry about not having enough. The clutch has 22 torque settings, so you have full control for slow or fast gearing. LED light comes on when you start the drill, so you have extra light when operating in tight spaces. This drill also accepts 1/2” shanks, which you expect from a quality contractor drill. The two-speed clutch lets you choose between a 450 or a 1,250 RPM range. Comes with 2 batteries, charger, and a carrying case, along with a double-sided screwdriver bit. For the price, you’re getting a drill that will last quite a while without quitting. Weighing only 3.9 pounds, this compact drill from Makita features a 2-speed design, with settings of 600 and 1,900 maximum RPMs. Combined with torque adjustability, it allows you to tap into higher speed applications normally reserved for a drill press, as long as you can make the cuts with a hand-held. The four pole motor also delivers a whopping 480 inch pounds of torque. The drill almost seems like magic for what it can do, and the price really isn’t that bad. 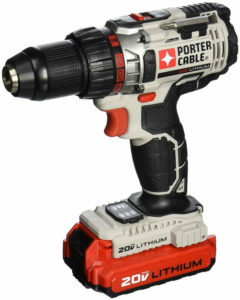 If you are a contractor, and want a serious cordless drill, this is the one you should be looking at. Comes with a battery, charger, and a plastic case. If you are just starting to build your power tool collection, and you are looking for a good sized kit on a budget, this drill from Black & Decker makes a good place to start. Charged with lithium power, the kit comes with a 20 volt battery and charger, and a whole lot more. The kit includes six brad-point drill bits, plenty of screw driving bits in 1 and 2 inch lengths, four nut drivers, and a magnetic bit tip holder. The soft grip will keep your hand from wearing out as you power through endless home improvement projects. While not the best for contractors, it will work well enough for most jobs, with 300 inch pounds of torque, and speed variable from 0-750 RPMs. This is a great starter drill kit for the money. A good balance between price and usability. This half-inch drill brags on its key-less bit changes, and speed ranges of 0-450 and 0-1,500 RPMs. No frills, just decent powered delivered at the appropriate speed for your project, and weighing in at 3.6 pounds. Comes with a battery, charger, and bag, and DeWALT’s three year warranty. One nice addition is that the light on this drill stays on for ten seconds after you release the trigger, so you can actually use it for lining up on a screw in the dark, without the bit spinning. Sometimes, it’s the little things that make all the difference. Another half-inch driver, this one from Porter-Cable, and looking like some kind of tool straight out of a sci-fi movie. Personally, I feel they went a little overboard on the styling, but the drill is quite capable, and comes with a battery fuel gauge, so you will know when a battery change is coming up. The integral LED is mounted above the chuck, so shadow casting might be an issue is some places, but overall, this is a solid drill that comes with a battery and charger, and at a decent price. It’s an ultra-portable, feather-light 3.5 pounds, and speed ranges topping at 400 and 1,600 RPMs. It delivers long run times, so you shouldn’t need to break for a charge while doing work around the house.